The name of Morpheus is one which has been reinvigorated by its recent use in film and comic franchises; the name Morpheus though is one with a long history, dating back to antiquity, where Morpheus was one of the Oneiroi, the gods of dreams. The concept of the Oneiroi is to be found in surviving texts of Greek mythology, where these minor gods were considered to be the offspring Nyx (Night) and Erebus (Darkness). In Greek texts though the Oneiroi were both numerous, possibly numbering 1000 and nameless. The Oneiroi were the daimones, or gods, of dreams, responsible for prophetic dreams as well as meaningless ones. It was later, during the Roman period, when the idea of the Oneiroi was expanded upon, especially through the work of the Roman poet Ovid. Ovid would publish his most famous work the Metamorphoses in the year 8AD, and in this work Ovid would retell and rework some of the most famous mythological tales. The story of Morpheus though seems to have been more than a retelling, for the Metamorphoses is the first source, or at least the first surviving source, which names the god. 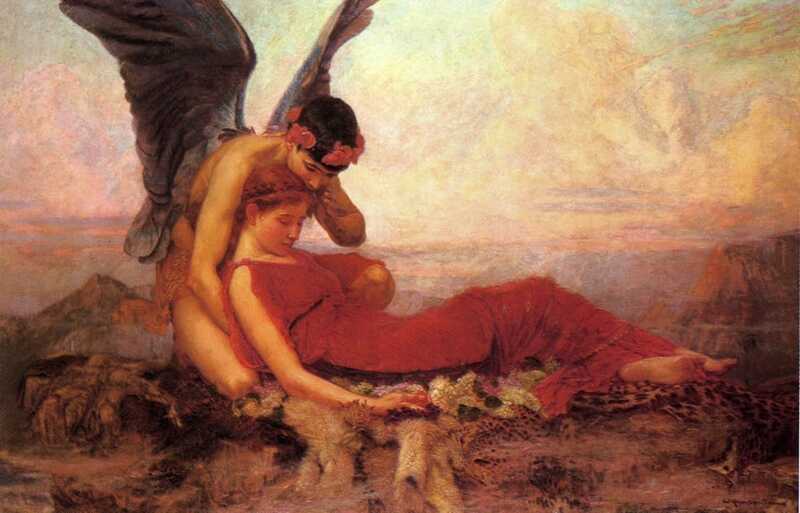 Thus, Ovid would name Morpheus as the god of people’s dreams. Ovid would make many adaptations to the original Greek concept of the Oneiroi, not least of which saw him change the parentage of the Oneiroi, and therefore Morpheus. 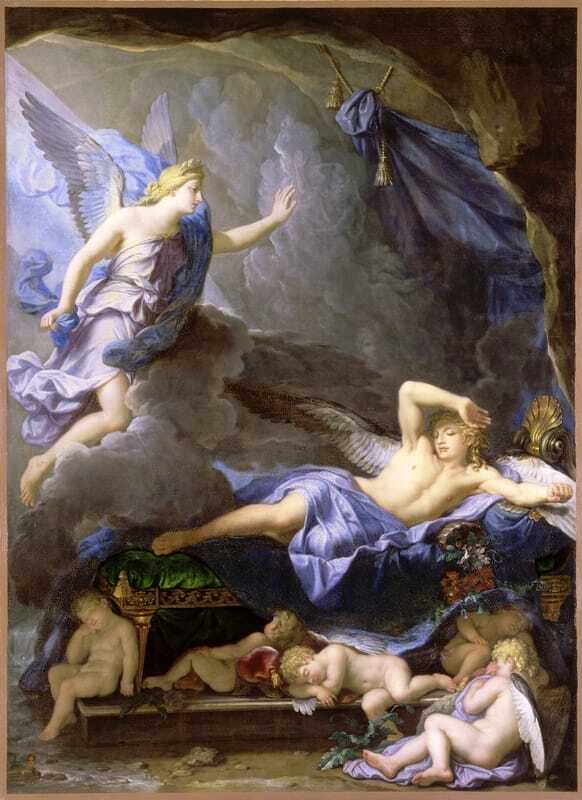 No longer were the gods of dreams considered the offspring of Nyx and Erebus, for Morpheus was now named the son of Somnus, the Roman equivalent of the Greek god Hypnos, the god of Sleep. Ovid would also prescribe roles to individual Oneiroi, and so three prominent Oneiroi were named. Phobetor, also named Icelos, was the Oneiroi who could transform himself into any animal to appear in people’s dreams; Phantasos could mimic fauna, water or any inanimate object; and Morpheus, who could make himself appear as any human form, mimicking the appearance, sound and characteristic of anyone else. Morpheus, because of his role, would be given the role of leader, or king, of the Oneiroi. Morpheus is most famous for appearing in Ovid’s version of the tale of Alcyone and Ceyx. Ceyx dies during a storm at sea, and so Juno (Hera) decides that his wife, Alcyone, must be informed of his passing with all haste. Iris, the messenger goddess, is dispatched by Juno to Somnus (Hypnos) with instructions that Alcyone should be told that very night. Somnus thus sends forth his son, Morpheus, who changes his appearance to match that of Ceyx, and enters the dream world of Alcyone. ​Dripping with seawater, Morpheus, as Ceyx, tells of his passing, and commands that funeral rites are undertaken. In her dream, Alcyone attempts to grab hold of her husband, but as she goes to touch Morpheus, so she awakens; but Morpheus has done his job, for Alcyone now knows that she is a widow.